It’s late at night when an emergency responder knocks on your door. There was a flash flood and your community is being evacuated. Are you ready? What if you are advised to shelter in place? Do you have everything you will need to take care of yourself for a minimum of 72 hours, without water or power? 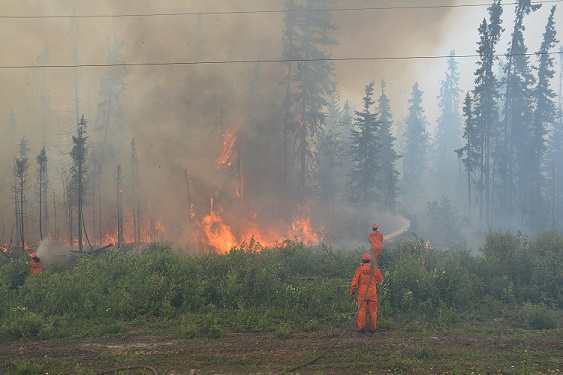 Recent trends of extreme weather have led to an increase in emergency situations such as wildfires and flooding. Over the last two years, approximately 14,000 Saskatchewan residents were evacuated from their homes. Others needed to shelter in place. Many residents were also affected by tornadoes, flash floods, water advisories and dangerous animal sightings. If you were evacuated, would you remember to take your health card, identification, and prescription medication? Consider what you would need to take with you in an evacuation. If you are evacuated, it is a good idea to tell your loved ones where you are going so they know you are safe. 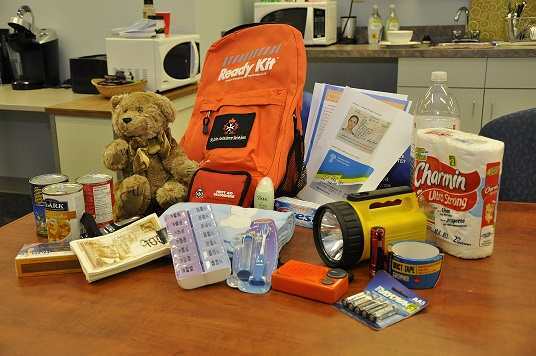 Your emergency preparedness kit should have everything you and your family would need for at least 72 hours after an emergency. Having an emergency preparedness kit on hand means you will be better equipped to care for yourself and your family – no matter what happens. copies of your family’s health cards and other identification. For more information about preparing a 72-hour kit, visit the Government of Canada’s “Get Prepared” website at www.getprepared.gc.ca. Your smoke alarm and carbon monoxide alarm could save your life. Check that your alarms are installed and working properly. SaskAlert is Saskatchewan’s emergency alerting system that provides real-time information on emergencies as they occur so you will be able to take action to protect yourself, your family and your property. Visit www.SaskAlert.ca or download the SaskAlert app on your android or iOS device today. If you or a loved one is deaf, hard of hearing or speech impaired, register with your wireless provider for Text With 911.